Rotted Window Sill? Here’s How to Replace It! There’s really only one surefire way to replace your rotted window sill once and for all, and that’s installing a superior product. It doesn’t make financial sense to replace a rotting window sill with another one that’s going to rot in the years to come. That’s arguably insane! A lot of time, effort, sweat, muscle and money go into a building project. When those finishing touches go on to the build, it needs to be a presentation that you’re proud of. Everything from the foundation to the window sills needs to be held to high standards of quality. Window sills are an absolute necessity. It’s used to keep water from seeping in to a dwelling, and it also serves as a nice brace for windows. Window sills have to be replaced so often is for a few reasons. The main reason is because of the wear and tear it endures from the outer elements. No matter where you live and what kind of climate you’re used to, if you don’t have quality window sills installed, it will take a beating. If you live in the colder climate, you’ll have to endure the freezing rain and snow that can wear your window sill down over a period of time. With wood window sills, what that eventually does is soften that material making it an inviting home for bugs that enjoy burrowing in wet, damp places. This will only weaken the window sills causing it to rot away allowing for water to come through. If you live in a warmer climate, then your issues will be slightly different, but the outcome will be the same. In warmer climates, materials need to be able withstand the sunrays. This is usually done with UV coating or reapplying coats of paint. But after awhile, even with lower quality window sills, the heat from the sun is going to cause that sill to get brittle and the critters of that region that’s particularly fond of dry wood would simply burrow it’s way into the material, thus turning it into a brittle material that will increase the decaying process with enough moisture and humidity. If you’ve come upon a build or a flip where you have the opportunity to replace a rotted window sill, do it with either a marble or travertine window sill. Nothing will be as solid as natural stone. Natural stone has been proven to stand the test of time regarding its beauty and durability. Even when weathered, natural stone exudes a timeless artistry that resembles wealth and success. This may be why natural stone, marble in particular is in such high demand. The most popular reason builders tend to buy marble is for flooring. But depending on your budget, stocking marble even at a wholesale cost can be quite costly. But, if you desire to bring a certain refinement to your build and brand, then the smart and most affordable way to do this is to incorporate marble window sills, and even travertine if you prefer, into your build. With the right color selection, you’ll be surprised at how much something as overlooked as a window sill can do to a design. For South Florida residents, especially Miami, marble is one of the preferred design materials as a nod to keeping the Art Deco design movement alive. As a result the Pure White Thazoz and the White Carrara are quite popular window sill material because the sun is able to reflect off its glossy surface illuminating more light into a room. And with the square footage on Miami Beach being minimal, anything that can make a small space appear larger is always welcomed! For a more contrasting look, designers can install the Black Granite window sills that will offer a bolder feel to a space. These type of marble sills are perfect for those who like the monochromatic look. Window sill can also be multifunctional. They can be used as a window seat, book shelf, or desk. The standard size of a window sill measures at 3”, 4”x 4 ½”, 5”, 6”, 7”, 8”, 9”, 10”, 11”, 12” – all 1”. These are the sizes that Stonexchange, a manufacturer and wholesale marble window sill and threshold distributor has fully stocked in our warehouse in Miami, Florida. Should you need a custom sized window sill, we are more than happy to accommodate you on this request. All of our custom orders need to be cut from our quarry in Turkey, so it’s highly recommended that you place your order in months in advance as you’ll need to take the manufacturing process as well as the overseas shipment time into consideration. As far as packaging goes, window sills don’t take up much room. Stonexchange’s window sills are securely packed in 50-100 window sills. You can order a variety of crates in different color variations and have them neatly tucked away until you need them for the next construction project. 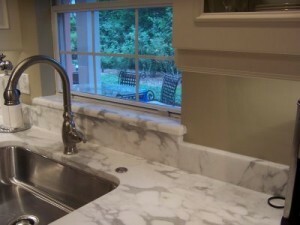 The great thing about Stonexchange is that we only specialize in marble window sills. Furthermore, we stock only the choicest natural stone selections. This means that we only provide the kind of window sills that builders buy—in bulk! So we have plenty for you too! You won’t find yourself thumbing through a long catalog of pretty marble window sills. What you’ll be shopping from selections that people actually want! View our full selection online here. Call and talk to one of our representatives to see about what you can do to possibly get a discount on your bulk order at 305-731-2400 today, or ask us a question through our online form.